When submitting my application for the 6th Lindau Meeting on Economic Sciences, I said that it would give me a platform to interact, exchange ideas and build collaborations with the best minds in the world: young enthusiastic people from across cultures and geographies. I now know that whatever you write, it is going to be an under-statement: my experience of Lindau was truly life changing, continuing to inspire me in my everyday life. Lindau gave me the courage to believe in my dreams. It is very motivating to discover that there are so many young scientists who are working towards the common goal of making the world a better place to live. I met people who have identified new economic problems brought about by the rapidly changing environment and who are using innovative ways to address issues of food wastage, environmental degradation and economic inequality. I now know that when I say that these are the causes that led me to study economics, I speak for many young people. Lindau is the place to talk freely about your ideas and get valuable feedback from people who share your vision. This is the time and place to build networks that are already a step towards turning your ideas into actions. The meeting is designed to create plenty of opportunities for informal conversations with Nobel Laureates over lunch or drinks. James Heckman spoke to us about his struggles in graduate school to come up with a research idea, in the process of which he read about a wide variety of topics. He told us: ‘Nothing I have learned has ever been non-useful.’ Bengt Holmström emphasised the role of serendipity, as opposed to luck, in his life: luck is random, but serendipity – that is, how well you use your luck – is not, he said. I cannot tell you what you are going to experience because it will exceed all your expectations in one way or another. The frontiers of science are often pushed by borrowing from other disciplines. I had a conversation with Nobel Laureate in Physics, Brian Schmidt, who had many insightful suggestions about the way we, economists, do research and how we can improve our techniques. Being an experimental physicist, he believes in the scientific use of data to answer important research questions and hopes that, in the future, more empirical economists will be honoured with the Nobel Prize. One of the defining moments of my Lindau experience was being selected as a panellist alongside Nobel Laureate Eric Maskin and Howard Yana-Shapiro, chief agricultural officer of Mars Incorporated, to discuss problems and solutions to economic inequality in a globalised world. I seized the opportunity to draw on my own experience to talk about the problems of inequality in my home country, India. In this respect, Lindau was a lesson in building courage and confidence: you have to speak what you believe in. The experience was rewarding. After the talk, many economists came forward to share their views on some of the issues I had raised. Vladimir Petrov, a PhD student at University of Zurich, spoke about his experience of being involved in a start-up that is leveraging blockchain, an artefact of the new financial system, to build projects to save the environment. Carl Schramm, economist and entrepreneur, encouraged my initiative of building data to study entrepreneurship in developing countries. Discussions with Romesh Vaitilingam, writer and media consultant, taught me many important lessons about communicating economics to a broader audience without losing it in jargon. 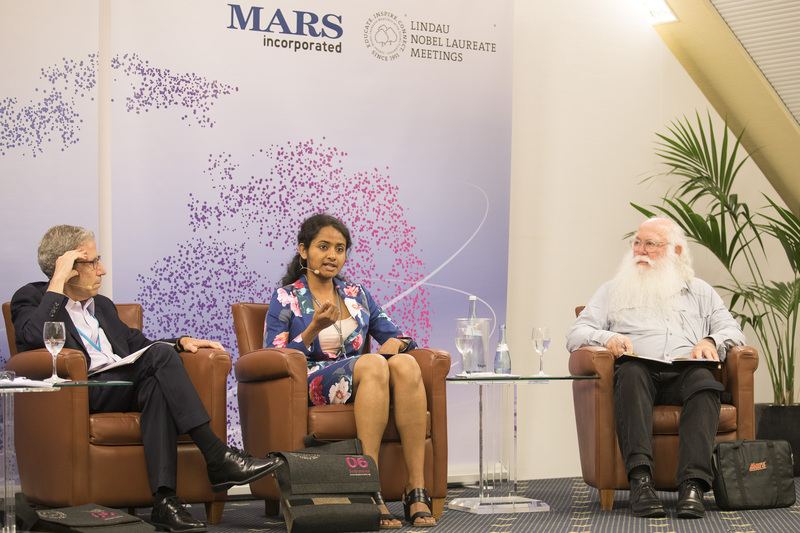 Nobel Laureate Eric Maskin, Devaki Ghose and Howard Yana-Shapiro were on a panel discussing economic inequality at the Mars Science Breakfast during #LiNoEcon. Interactions with Bruno Roche and Jay Jakub from Mars Incorporated contributed to my understanding of how collaborations between industry and academia can help address issues of economic importance, such as helping deprived communities. Lack of social and human capital in historically deprived communities hinders their participation in economic activities and restricts their purchasing power to buy goods from the market. Community-level interventions to invest in human capital can be beneficial for different stakeholders, starting from members of the community, policy-makers and multinationals. As a confluence of ideas from both industry and academia, Lindau is different from any regular academic conference. It is not only about listening to seminars and raising questions. It is also about exchanging ideas with some of the brightest and most passionate young economists, drawing inspiration, engaging in conversations with Nobel Laureates and, most importantly, learning to express your own ideas. My experience at Lindau opened windows of opportunities that I did not even know existed. It led me to foster connections with people who are deeply passionate about science and believe in using science to solve many of the world’s problems. I highly encourage every young scientist to apply to the Lindau Meetings. I cannot tell you what you are going to experience because it will exceed all your expectations in one way or another. Oh, and did I not tell you that these five days are also packed with many fun activities, including music, dance and a boat trip to the pristine Mainau island?! Devaki Ghose, Lindau Alumna 2017, is a Ph.D. student at the University of Virginia. She conducts research in the areas of international trade, economic geography, education, labor and development. 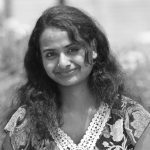 Her projects involve studying the regional impact of the Information Technology (IT) boom in India, the effect of large scale highway development projects on labor movement and welfare across Turkish provinces as well as the historical evolution of computer science education in the United States and India.